Modern Art Paintings Innovative Tips & Tricks! Various art techniques are being employed by artists since ages. 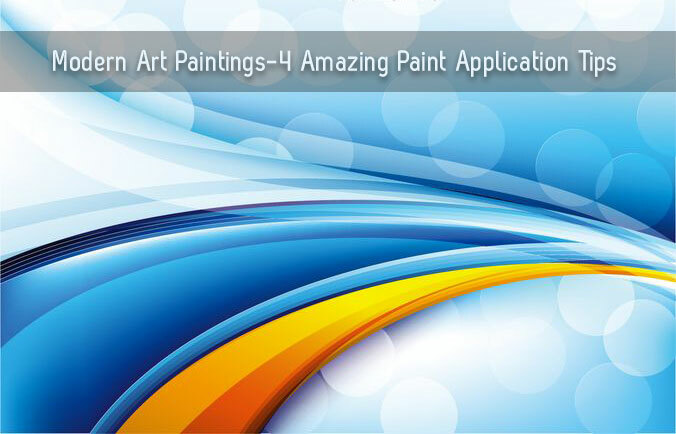 The artists use paint application techniques to create beautiful modern art paintings. Let’s have a look at some of these practices along with beneficial tips for beginners to craft a perfect treat for the art lovers. Impasto, is a buildup of dense paint that virtually appears three dimensional on canvas. This thickly textured paint can be produced through the amalgamation of oil paint with heavy-bodied mediums (oil painting wax or Oleo Pasto etc). The application of undiluted color (directly from tube) helps the painter to draw viewers’ attention headed for certain aspects of his artwork. For adding depth impressions in your artwork, never give the shadow areas an impasto effect so that the viewers’ attention will only be drawn to the surface. Try exploring contemporary art in Dubai and you will see numerous artists’ seem impressed by Van Gogh- the pioneer of impasto. This will also help you adding not only the dimension, but great emotions and movements to your pieces such as swirling clouds and surfing waves. In this direct painting technique, the brushstrokes are applied directly on the top of already painted layer that’s still fresh wet and fresh. It gives the artists an opportunity to mix his colors directly on to the canvas. It also enhances fluid, unprompted brushstrokes as the wet layer below allows a newly loaded brush to move easily across the surface. Always use a soft brush and put on paint with soft touches to avoid blending of new color with the color beneath it. Recharge the brush with the new color after every stroke but before this check if any underlying color got caught on the brush; don’t forget to wipe it before recharging. Sgraffito is the scratching of wet paint’s outer layer to reveal a distinct color from the earlier painted layer, after being dried on the primed support underneath. 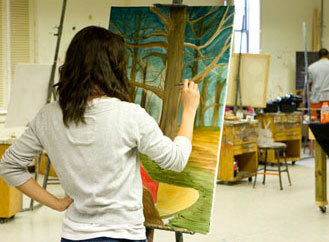 It can be done by a variety of instruments, for instance paint brush’s end or the palette knife’s blade. Never use a sharp tool of any kind, or else it will have detrimental impact on primed support underneath. A technique for applying paint that creates an effect of uneven flecks of color of upper layer with a different color showing below. It can be created by using a stiff bristle brush and gently applying little amount of “dry” paint across the painting surface. The textured surface for dry brush technique can be achieved by using a canvas with a heavy texture or add sand to gesso. Or you can wait till the underlying layers have become dry and formed a thick surface. Don’t think of flat and old bristle brushes as useless and throw them away. They are perfect for the dry brush technique. Always make test swatches before final application on the canvas. Now that you have known the secret of how artists create those beautiful impastos, blended effects and textured surfaces, I would recommend you to go check out various events of art in Dubai and also, visit art galleries there. Try recognizing some of these canvas painting techniques; useful to turn your meek art oeuvres into masterpieces.